Forget New Year’s Resolutions, at the beginning of 2017, it’s time to have a health check of your business and have a look at five mistakes you might be making with regards to your insurance. Don’t leave it to once a year (usually at renewal time) to review your insurance policy. What was relevant to you at the beginning of the year, could be significantly different to your requirements at the end of the year and all the changes that come in between. It’s important to keep us up-to-date with any changes happening in your business (or at home) to allow us to ensure you have correct coverage and to ensure you are covered in the event of a claim. Use the start of the year to have a health check on your insurance with us and make a note to have a review every quarter, making sure you keep us in the loop with any changes. Many businesses are changing and adapting to the market and with the internet breaking down international borders, it’s easy to look to a new market to expand and grow your market. This could be importing products to sell in Australia, selling online domestically or overseas or exporting to international markets. You might think this is no different to regular business, but it can be. Talk to us if you make any significant changes with your business, particularly entering a new or different market. We are here to help you navigate this change and ensure you are adequately covered. A few articles in Brokerwise in 2016 tackled this subject and if you didn’t heed the advice then, take a look now. 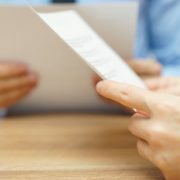 Many businesses around the country are under-insured meaning if there is a computer or electronic breakdown, machinery breakdown, burglary or even fire – your business might not be covered. Sit down with us to discuss your insurance needs and make sure you are adequately covered for the year ahead. When your business is going through a rough patch and times are tough, it’s tempting to reduce your insurance expenses to save some dollars. But this could have long-term ramifications. Talk to us about better solutions and ways in which we can help you possibly save some money without affecting your level of cover. Google is a fantastic tool for finding out a wealth of information and can be a great tool in researching what type of insurance protection is out there for background information. But Google cannot replace the personal service of your broker. We are here to deliver a professional service and a level of detail that an internet browser cannot. While the deal might seem great, you may end up under insured or worse – not insured. We are here to provide options and discuss in detail your level of cover. Once a vehicle has been conditionally registered it should be treated in the same way as any other registered vehicle and should be duly insured under a Motor Vehicle Insurance Policy. It’s a legal requirement that all vehicles that require any access to gazetted roads and public places, such as car parks, must now have conditional registration, even though this may not have been the case previously. 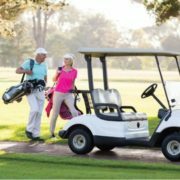 There are many types of vehicles that may now be required to obtain conditional registration, including but not limited to, golf buggies, forklifts, bobcats, motorcycles, motorised mobility scooters, motorised wheelchairs and mowers. Should any of these vehicles leave private property and gain access to roads or public places they are now affected. Whilst Conditional Registration provides coverage for Compulsory Third Party (CTP) Insurance for Personal Injury Claims it doesn’t include Comprehensive Insurance to the vehicle and subsequent property damage. There are also other insurance policies such as “Broadform Public and Products Liability Insurance” that may have specific exclusions within their coverage. A standard exclusion may state “Property damage caused by any vehicle which is registered or which is required to be registered”. For further information regarding vehicle registration please refer to the Queensland Government website or contact us to discuss the potential exposures and arrange the required insurance coverage. an insurance company that changes this relationship. If this is the case your broker will have told you this when you bought the policy. In these instances, the broker is acting on behalf of the insurance company. In all other instances an insurance broker is acting on your behalf and should ensure the best possible outcome for you. • applying their experience and expertise in successful claim negotiations with Insurers. • Settlement – Processing of all due payments. Contact us to find out exactly what claim service is available to you.